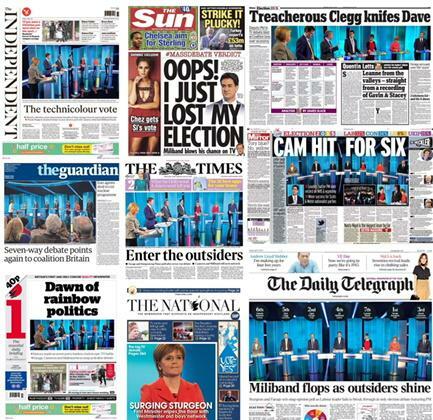 Newspaper front pages the morning after the leaders debate. 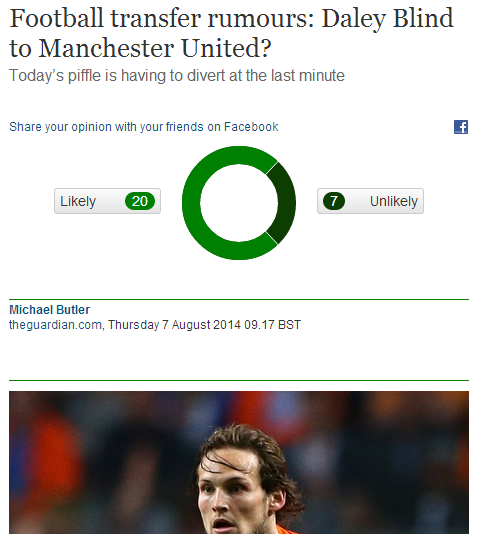 Most newspapers also liveblogged the debate on their websites. This entry was posted in FT, Guardian, Independent, online journalism, Telegraph and tagged BBC, Guardian, Independent, ITV, ITV Leaders Debate, liveblogging, Sky, Telegraph on April 3, 2015 by Paul Bradshaw.